Asunim Group established its EPC and O&M operations in Turkey in 2012 and has a successful track record of many projects implemented since then. Since last month, the company is now also an ISO 9001: 2015, ISO 14001: 2015, OHSAH 18001: 2007 certified operator, which confirms the Professional and well-structured approach to its business. 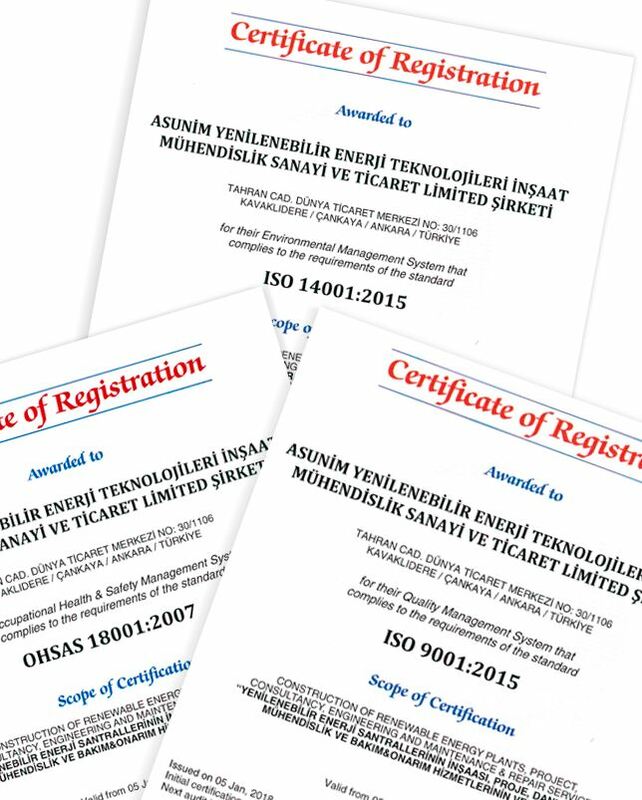 Asunim Turkey has fulfilled the requirements of the quality management system standards and because of this certification audit, which provides accreditation services internationally recognized JAS-ANZ from the company certified ISO 9001: 2015 quality management system, ISO 14001: 2015 environmental management system, OHSAH 18001: 2007 occupational health and security management system certificates. As a guideline, these documents will continue to serve as an assurance to all customers that products and services meet their requirements and that system quality is constantly being improved.